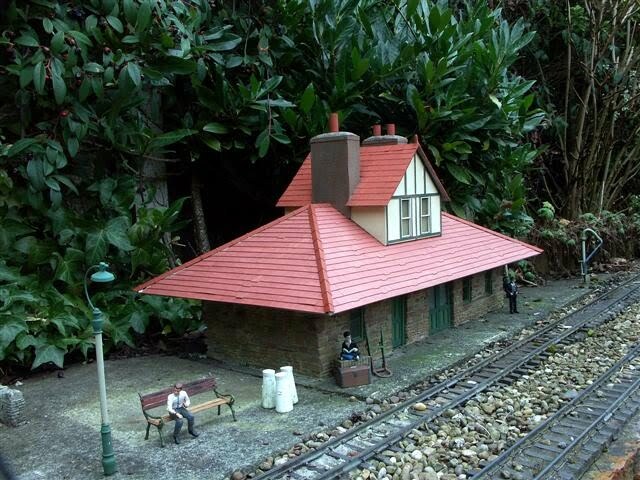 my first version of Allington, which is unashamedly modeled on Woody Bay, was of plywood construction and lasted for many years before finally being retired to the wheelie bin. I've now moved away from ply totally and have experimented with a few more permanent materials. The reincarnation of Woody Bay was built using Jig Stones, a product I'm sure you will all be familiar with, but perhaps have not as yet got around to trying them out. 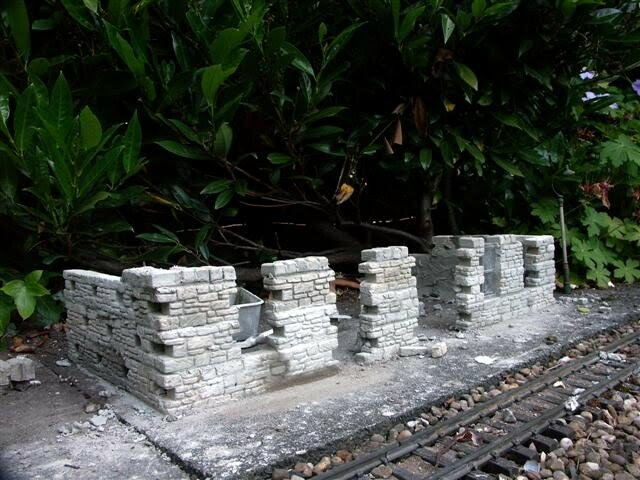 The station is mainly single storey, which was a big bonus in that there were far less 'bricks' to cast and it avoided the problem of high walls and stability issues. The first floor section was rescued from the original model and is in plasticard. The windows are from a preformed sheet , an excellent product that I hope to find a further supply of at Stoneleigh. 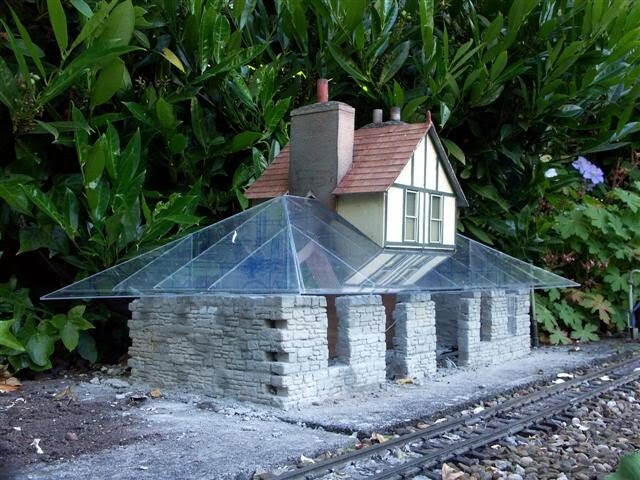 the roof is acrylic sheet, sold in BandQ for secondary glazing and other 12'' to the foot projects. The tiles are Marley floor tiles, sadly now discontinued. they also did them is a very useful slate grey. Not too attractive in your kitchen, but great on a roof. I hope the following three images illustrate the construction.